Playa Flamingo is located in the Gold Coast of Guanacaste, which is known for 300+ days of sunshine per year! This makes buying real estate in Playa Flamingo a smart choice if you are looking to invest in costa rica real estate. The climate of Play Flamingo is ideal for a personal residence or a vacation rental home. Your ROI on investment properties in Playa Flamingo will be much greater than in other regions of Costa Rica. Playa Flamingo is located 22 kilometers (13.7 miles) from Tamarindo and 73 kilometers (45 miles) from Liberia. Most visitors arrive via plane to the Daniel Oduber Quiros International Airport in Liberia, one of Costa Rica’s two international airports. This international airport has lead to a boom and rapid expansion in Flamingo Beach and other surrounding neighborhoods, as travelers can now access the Nicoya Peninsula and Gold Coast Region directly and efficiently. Playa Flamingo is only a 55-minute drive from the Liberia International Airport. 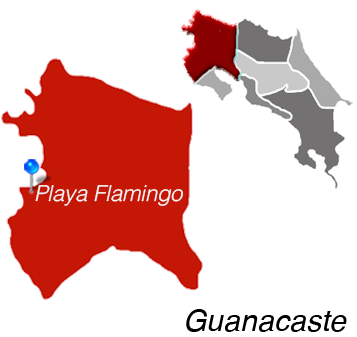 The weather in Playa Flamingo is hot and dry, and the area suffers little from the humidity that can be found in the middle and southern pacific regions. 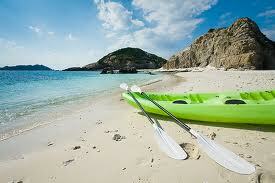 December through April is known as the verano, or dry season, and is peak tourist season. Notwithstanding peak tourist season, the Gold Coast Region, including Playa Flamingo, enjoys over 200 days of warm sunshine per year. The area really only has two true “rainy season” months—September and October. The abundance of sunshine, the lack of hurricane risks and tropical storms, and the fact that the Gold Coast receives less rain during the “rainy season” than its neighboring regions to the south, make investment real estate properties here quite popular—the superb weather allows homeowners to rent out their homes as vacation rentals for approximately 10 months out of the year. Very few places in the world offer such consistent good weather for such an extended period of time. Welcome to the number one real estate service in Guanacaste, Costa Rica. Krain Costa Rica Real estate has been serving expats in Guanacaste to help find their dream homes. Did you know that we also offer relocation services? Need information on private schools in Guanacaste? Krain offers property management services as well. Contact us today for a free consultation and find out why KRAIN is the number one real estate company in Guanacaste. All of our agent are U.S. Licensed Agents.